Investigations have commenced in the Western Division regarding issues pertaining to the Homes and Farms CARE initiatives. 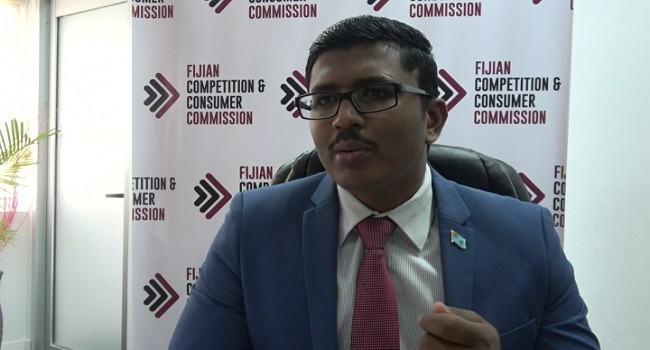 The Fijian Competition and Consumer Commission says a team is looking into these issues and they will be on the field this weekend. This includes unconscionable conduct, false and misleading representation. He says investigators have been engaged to prepare and file charges in court. The team are also speaking with people who have been purchasing items under the initiatives. FCCC says Fijians are responding well to investigations by cooperating and providing information. Preliminary findings include traders taking advantage of the initiatives by hiking prices of items to be sold under the initiative, traders accepting payments and asking for items to be delivered at a later date, giving delivery time of up to six weeks whereas normal delivery time would have been around one week. This is contrary to their agreement with the Ministry of Economy, as payments should be received if stocks are available. The Commission says some traders are also providing false information to the CARE programme recipients that if the funds in the cards are not utilized by a certain date, government will take the money back. Traders engaged under the Homes-Care and Farms –Care initiatives will be charged for possible breaches under the FCCC Act 2010. The taskforce is advising recipients of the CARE programmes to not swipe their cards if the items are not in stock. The Homes-Care initiative will be on-going till 31st July, hence consumers should not rush and make payments in advance.